The National Transportation Safety Board has issued its preliminary report on the Sept. 13 gas explosions in the Merrimack Valley region of Massachusetts. The report confirms that overpressurized natural gas lines were the source of the deadly explosions and fires in Lawrence, Andover and North Andover, and details the chain of events that led to the disaster, which killed one person, injured 25 others and damaged 131 structures. Thursday's preliminary report says Columbia Gas workers failed to account for the location of critical gas pressure sensors in Lawrence, which caused high-pressure gas to flood a low-pressure distribution system at excessive levels. 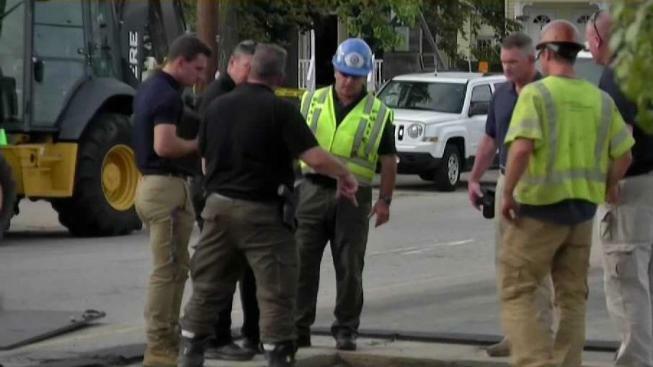 The NTSB's preliminary report said that Columbia Gas' monitoring center in Ohio received two high-pressure alarms for the South Lawrence gas pressure system at 4:04 and 4:05 p.m., more than five minutes before Lawrence emergency services received the first 911 call from a resident and almost a full 30 minutes before Columbia workers in Massachusetts were able to shut down the regulator causing the problem. Future investigative issues include the coordination between Columbia Gas and emergency responders, an analysis of the work package preparation and execution and a safety review of construction packages.